Illinois’ custody laws have changed. The words “custody” and “visitation” have been removed from the statute, and are now obsolete. They have been replaced with less adversarial terminology, such as “parental decision making” and “parenting time”. In an effort to foster co-parenting, the legislature apparently felt it wise to remove the competitive terms of “custody” and “visitation”, which imply that one parent is somehow superior or better-suited than the other. Under the new law, one parent is with the children except when the other parent is. The parents set forth in writing their respective parenting time and parental responsibilities. If they cannot agree to these items, they will be sent to court-ordered mediation to resolve their differences. If that doesn’t work, and depending upon the county, psychological experts will evaluate the situation, and the Court will ultimately determine each party’s parenting time allotment and parental responsibilities. Simply put, what it all boils down to is that little has changed except for the terminology, which will hopefully create a less antagonistic culture when it comes to parenting and parental designations. The words “Child” and “Fight” should never be used in the same sentence. The parents should be together when they tell the children about the divorce. The coming-together of parents in a pulling-apart situation gives a sense of security in an otherwise insecure situation. Otherwise, the children should be out of earshot of their parents’ conversations. Children are by nature resilient, but they need support and active, uninterrupted parenting skills. You have to take great care to let your kids know the parenthood part of the relationship will continue as usual, and that they are loved equally by both parents. Keep the children away from your daily tussles, and show them good role modeling for being responsible adults. KIDS FEEL THEY ARE THE CENTER OF THE MARRIAGE, SO THEY FEEL THEY ARE RESPONSIBLE FOR THEIR PARENTS’ MARITAL PROBLEMS. Our approach to divorce is child-centered. Take care to assure the children that they did not cause the breakup of the marriage. This takes the pressure off them immediately. The kids have to understand they are completely innocent when it comes to the marital difficulties. A very important step to consider is to get the children into counseling. You or your spouse cannot possibly have all the answers or a dispassionate view of handling the split-up in the manner that a third-party professional can provide. You don’t want to assume your children are handling a life-altering event like a divorce, and then find out years or decades later that a tremendous hurt has been inflicted. If new living arrangements are pending, take the children to the next apartment or house to get their input. This is a major concern of children and they have a right to be involved. Make sure you handle their school situation by discussing the divorce with teachers and other school officials. Children of divorcing parents want and need to know the reasons behind the divorce. When they begin to understand why, most kids will become more accepting of the drastic changes happening in their lives. 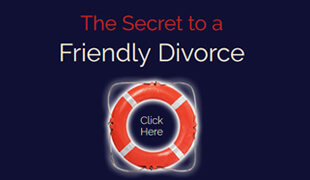 In most families, however, the children are given little information about the divorce. Parents often assume that their child knows the “whys” as well as they do themselves. After all, parents assume, each child has been a part of the family and therefore, has experienced the same events, in the same way, as they have. Other parents may choose not to tell their children about the reasons behind their divorce as a way to protect them from the experience or knowledge of such unhappy and unpleasant events. Still other parents find divorce to be so painful that it is too difficult for them to discuss it with their children. CHILDREN WANT AND NEED TO KNOW THE REASONS BEHIND THEIR PARENTS’ DIVORCE. In other instances, parents may over share details of their divorce with the children. Oftentimes when a parent is very hurt and in desperate need of a confidant, he or she will turn to their child as an open ear for listening. For example, one eleven year old girl remembers how her mother awoke her in the middle night to drive through the city in effort to catch her father and his girlfriend together. This same girl was also forced to call women’s homes and various bars in search of her father. This example may seem extreme; however, it is not uncommon for a very isolated parent to over-involve a child. CHILDREN ARE CAPABLE OF UNDERSTANDING TO SOME DEGREE ALL THE REASONS FOR THEIR PARENTS’ DIVORCE. Neither extreme—“Telling the children nothing” NOR “Telling the children too much”—is what the children need. There are a few basic rules to consider when discussing divorce with your children. Consider each child’s age and maturity level; tell them only what he or she can understand. The ability to intellectually and emotionally comprehend certain aspects of your divorce will depend upon your child’s age. The majority of four year olds can’t understand the concept of divorce. If they know the word, they may simply think it means “Daddy and Mommy don’t live together.” By the time children are six or seven years of age, they may be able to realize that courts and lawyers are involved and that divorce has meant many changes for their family. When children are eleven or twelve years old, they are very interested in how custody is decided. By this age, children have developed a sense of fairness, and they may want to be sure custody and visitations are equitable. Always be honest with your child. If your child asks you something about your divorce, always answer as truthfully and thoroughly as possible (taking into consideration what the child can absorb). Sooner or later, fabrication will be discovered and will only confuse your child about the real reasons for the divorce. Being dishonest about the divorce will also cause your child to doubt and mistrust all of your statements. Take initiative; do not wait for your child to ask you questions. Oftentimes, children are reticent about bringing up divorce-related issues. Their silence does not mean that they don’t have any questions or don’t want more information. It may mean, however, that they are taking cues from you and sense your reluctance to discuss the divorce. If you remain open, not blaming, and calm in your discussions about the divorce, then the pertinent facts, feelings, and information will be shared naturally and comfortably with your child. 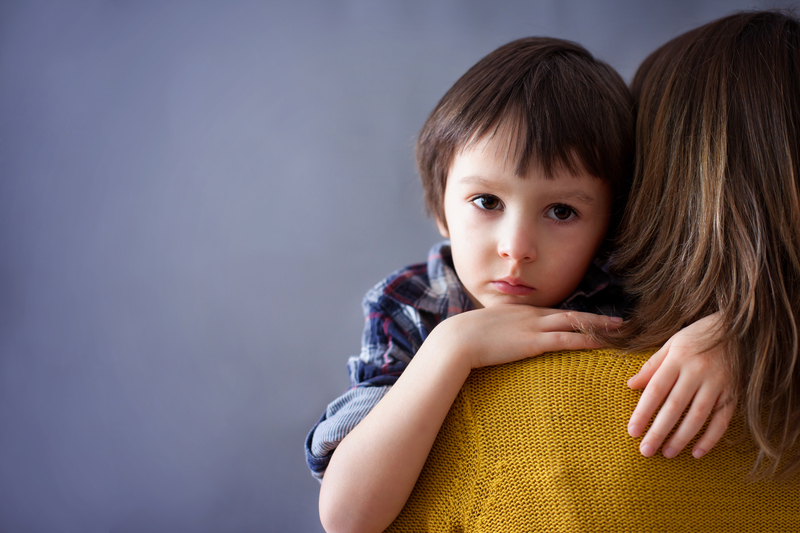 You must remember that your child is not your emotional confidant. Sharing facts about your divorce is one thing. It is a quite different thing to share these facts amid your feelings and discussing everything related to the divorce, because you have the need to talk and be heard. When spouses divorce, they usually want to go over the numerous small events that lead up to the divorce and to share all the details of the divorce process with someone. Do not make your children bear this burden; they are dealing with enough as it is. CHILDREN MUST KNOW THAT THEY ARE NOT THE CAUSE OF THEIR PARENTS’ DIVORCE AND THAT THE CAUSES OF DIVORCE ARE NOT THEIR PROBLEM—THEY’RE THE PARENTS’ PROBLEM. In order to effectively explain your divorce to your children, you need to understand the reasons for it yourself. It takes months or years of considerable deliberation and unhappiness before most couples make the decision to end their marriage and even then, the reasons are often unclear to the divorcing spouses themselves. Sometimes one spouse will decide that the unhappiness or pain that they are experiencing in the marriage is worse than the pain that divorce will bring to everyone involved, and divorce becomes the only solution for them. This decision is not always so understandable to the other spouse or to their children. There are also times in which the decision to divorce is mutual. Both spouses may decide that their marriage is not working and they settle the divorce amicably. With disruptions kept to a minimum, the divorcing spouses and their children will be able to begin rebuilding a different life. Such divorces are rare; and even in such instances, the children will still experience loss and change. The majority of divorces are the result of a complicated process between the couple. Every divorce is unique, just as each marriage is unique. It would be impossible to list of all the reasons why marriages that begin happily end painfully. However, there are several main causes of divorce in the United States (some of these reasons are interrelated). It is the couple’s inability to communicate, compromise, or change on these issues that finally results in the decision to divorce. Who Will Be The Residential Parent? 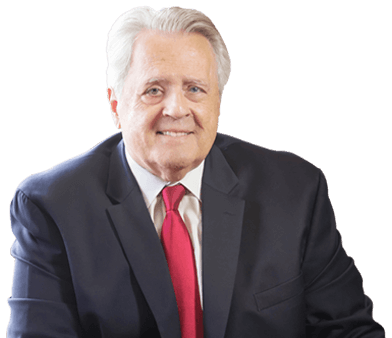 In 1986, Mr. Kulerski was appointed by the Bar Relations Subcommittee of the Domestic Relations Advisory Committee of the Domestic Relations Division of the Circuit Court of Cook County to serve as an Attorney for the Child and as a Guardian ad Litem. 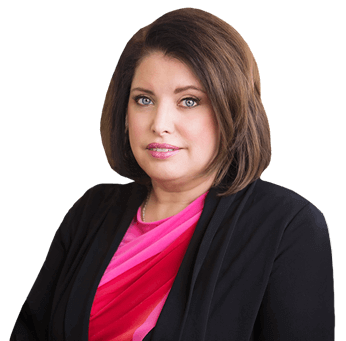 Subsequently, he was appointed by the Court to represent the children in more than forty different, contested custody or visitation cases and has also represented many clients in various custody and visitation cases. Our Divorce Act mandates the Court to determine the best interests of the children in deciding which parent will have more parenting time. As we stated earlier, Illinois’ new law requires that the parents have a parenting plan and an allocation of parental responsibilities. This will happen voluntarily or the court will decide these two categories. Even though the parents will be co-parents, it is not unusual even under the new law for one parent to be what we used to call the “residential or custodial parent”. This parent is awarded parenting time with the children, except for the times that the other parent is with them. In this scenario, and in effect, the parent that is awarded the general parenting time is the equivalent of the former custodial parent, and the parent with the specific parenting time is the equivalent of the parent with visitation. It is our belief that the following list of questions provides an excellent guide to the basic criteria that the court will apply in determining the extent of each parent’s parenting time. Who gets the child up in the morning? Who drives to school/day care? Who knows sizes of clothing, shoes? Who knows names and addresses of child’s doctors/ health care providers? Who takes child to doctor, dentist, etc.? Who shops for the child? Who helps child with homework? Who attends school conferences? What are the teacher’s names? Who attends school programs/PTO meetings, etc.? Who goes on field trips? Who reads to child? What books? Who plays games with child? What games? Who knows names of child’s best friends? Who attends child’s sporting/ extracurricular activities? Who helps with toilet training? To whom does child go when hurt, when wakes up in the middle of the night, when sick? Who takes child for haircuts? Who takes child to scout meetings/ Who is scout master? Who stays home when child is sick? Who takes child to church, Sunday school, etc.? Who supervises child’s household chores? Who supervises television watching, movies, attended, etc.? Who talks to child about problems? THE REWARD FOR BEING A RESPONSIBLE PARENT SHOULD BE THE RESPONSIBILITY OF PARENTING. Divorcing spouses who are emotionally far along in the separation process often have “significant others”. The way in which the children are introduced to the new partner is important to the children’s well-being and to the future well-being of the relationship between the new partner and the children. This type of introduction typically requires the passage of time and a great deal of patience if it is to be done in a way that minimizes risk to the children. Adjustment to the divorce takes time, and the children need time to come to grips with the divorce before they have enough room in their emotions to deal with a parent’s new relationship. If the introduction is made prior to the children’s achieving some degree of adjustment, they are likely to resent the new partner, despite any wonderful qualities that this person may bring to the relationship. If the children display an adverse reaction to the new person, it is generally a coping mechanism to help them deal with the interruption to their adjustment process. Asking the children to obey or treat the new person kindly will make the situation worse. This has been known to have a permanently effect upon the relationship between the children and the friend, and between the children and the parent. Another sound reason to resist an early introduction is that it provides time to confirm that the relationship is solid and likely to continue. Early cohabitation should definitely be avoided. (With the removal of the terms “Custody”, “Joint Custody”, and “Visitation” from our law, in all cases where children are involved, the Illinois legislature requires both parents to have their respective parenting time and parental responsibilities defined in writing. This writing is known as their Parenting Plan. Parenting plans must be filed with the court no later than 120 days after service of summons. If neither parent files such a plan, the court must conduct an evidentiary Hearing to allocate parental responsibilities. These plans can be entered by the Court either as a separate Judgment or as part of the parties’ final Judgment for Dissolution of Marriage. Section 602.10 (f) (1-15) of the Illinois Marriage and Dissolution of Marriage Act spells out the minimal items that the plan must contain. The following is a sample plan that, when filled out properly by the parents, would contain all the information required by the law. (iv) the parent-child relationship has been legally established. Whether the grandparent, great-grandparent, step-parent, or sibling was the primary caretaker of the child for a period of not less than six consecutive months within the twenty-four- month period immediately preceding the commencement of the proceeding. IT SHOULD BE NOTED THAT THERE IS A REBUTTABLE PRESUMPTION THAT A FIT PARENT’S ACTIONS AND DECISIONS REGARDING THE ABOVE VISITATION ARE NOT HARMFUL TO THE CHILD, AND THAT THE BURDEN OF PROVING OTHERWISE IS ON THE NON-PARENT SEEKING THE VISITATION.